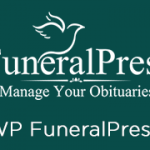 Funeral Press Agency, WordPress manage enter obituaries . Funeral Press Agency ( built on the WordPress platform) is a great plugin to allow agencies to come in and manage enter obituaries for you. If you own multiple funeral homes or cemeteries or can now have each manage the own obituary / memorials. 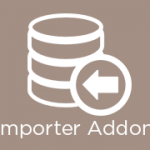 Assign a user to the agency role to give them the ability to add and edit obituaries. This is great for publications or community websites where you have multiple parties adding obituaries. The Agency extension also gives you the ability to allow the users to auto-approve obituaries or go through an approval process on a user by user basis. The Agency extension takes the work load off your hands so you can focus on other aspects of your WordPress website. Premium Features extension is required for this extension to function.